This isn’t exactly the kind of cookbook I’d usually covet. For one thing, I find compilations sometimes have forced themes. Does someone necessarily want a bunch of recipes from an area, if the regional cuisine isn’t a common thread? 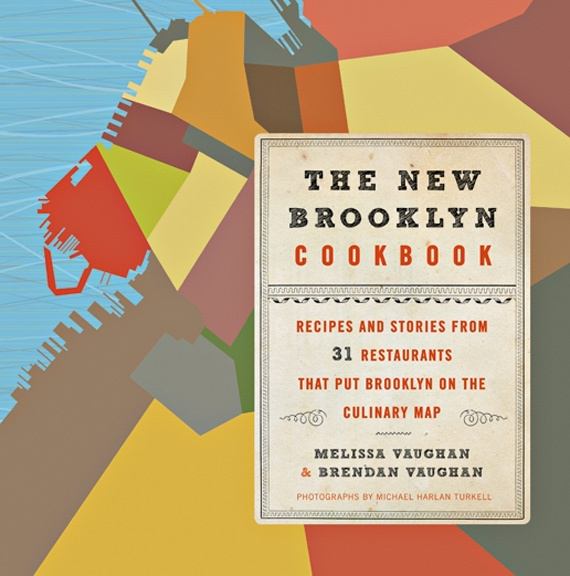 Actually, in the case of The New Brooklyn Cookbook, I do. It happens to include recipes from restaurants where I’ve had food so satisfying and interesting to me that I was inspired to recreate or create meals as a result. There are recipes from No. 7, The General Greene, Buttermilk Channel, FIve Leaves–all of which I would happily return to–so I think I might actually cook from this cookbook. Even if you haven’t set foot in Brooklyn, you might be intrigued because of the ongoing buzz it’s new(ish) restaurants continue to receive. As the authors state in their introduction, the book is about the culinary energy that’s moved through Brooklyn in the last decade, creating destination restaurants, and the people and the recipes behind them. It’s a chance to taste a little of that creativity even if it’s in your kitchen instead of a dining room in Williamsburg.